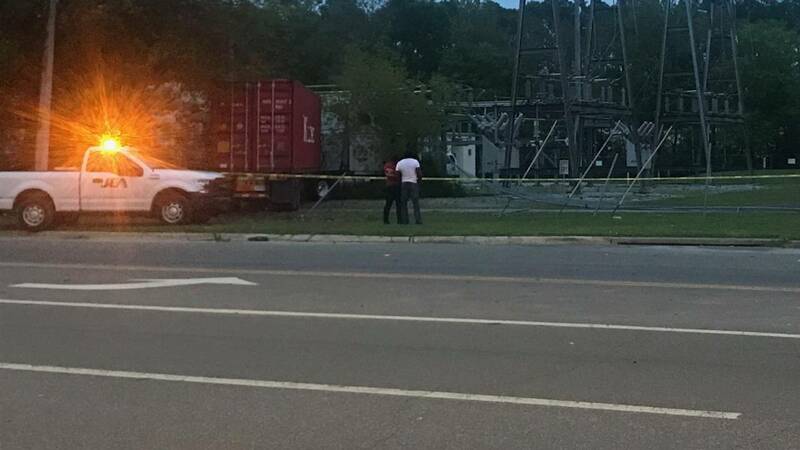 JACKSONVILLE, Fla. - A semitrailer crashed into JEA's Paxon substation on Monday night, knocking out power for hundreds of customers for a short period of time, a spokeswoman for the utility told News4Jax. 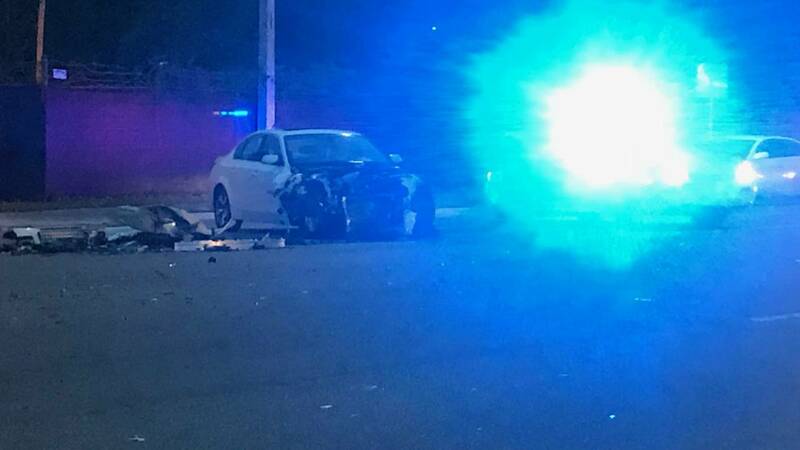 According to the Jacksonville Sheriff's Office, two cars were involved in a crash, which happened about 7 p.m. at Lane Avenue and West 5th Street. At the scene, News4Jax saw a small white car, which was damaged, in the middle of the road and the semi that had crashed into the substation. Witnesses said the semi hit the substation after getting into a crash with the car. They said the crash was so loud it sounded like a bomb going off. "It was really scary," said Hannah Jones. "I just heard a loud boom." Williams Jones said he was down the street with family members when the crash happened. He also said that the intersection is dangerous. "I hope they put a light up here," he said. The co-worker of the semi driver told News4Jax that the driver was on his way back to their headquarters when the crash happened and fortunately, the truck was empty. The co-worker said although the driver was walking around and appeared to be OK, they would be taking him to a hospital to get checked out. There's no word on yet on the extent of the damage or whether anyone in the white car was injured. At the height of the outage, the JEA outage map showed more than 780 customers were without power in the area. 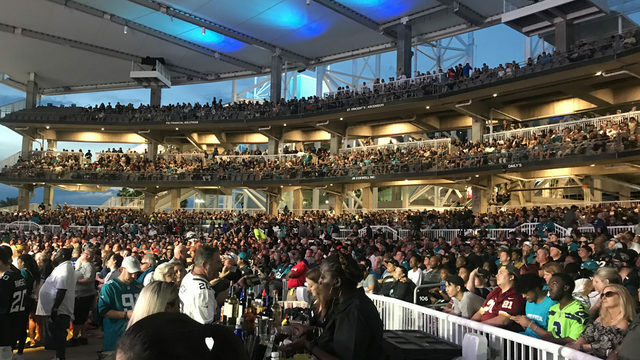 By about 8:45 p.m., less than five customers were without power.